Teaching with felt is an excellent visual aid for shaping young minds. Felt sticks to felt without the need for glue or other adhesives. This allows children to move the pieces freely for hours of fun-filled learning and creative play! 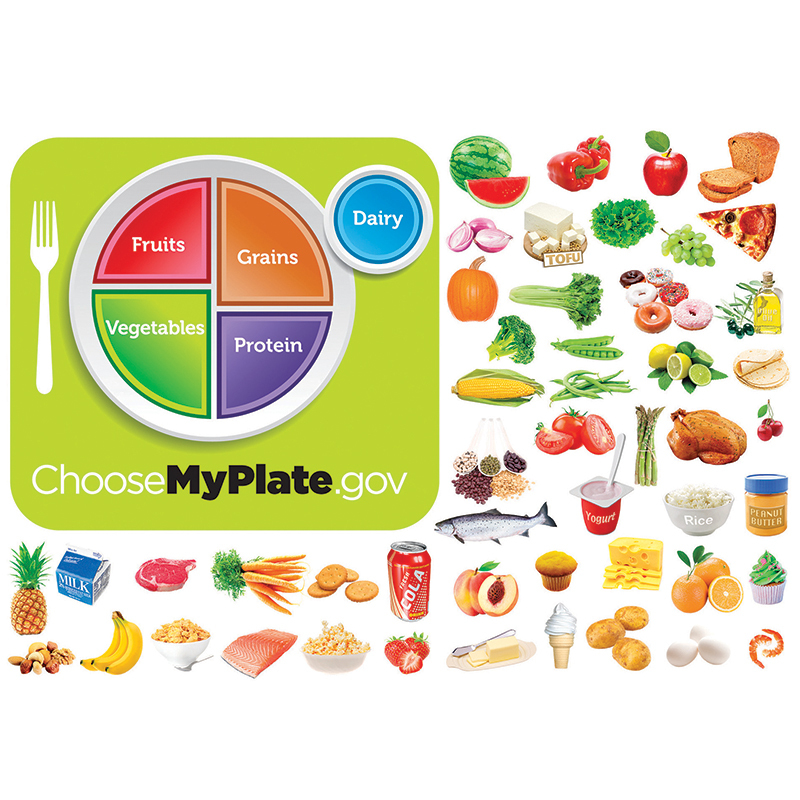 MyPlate illustrates the five food groups that are the building blocks for a healthy diet using a familiar image — a place setting for a meal. Before you eat, think about what goes on your plate, in your cup or bowl. 56 pieces total. 1 Plate with placemat, 5 food group pieces, 50 food pieces. Made in the USA. Machine washable & non-toxic.